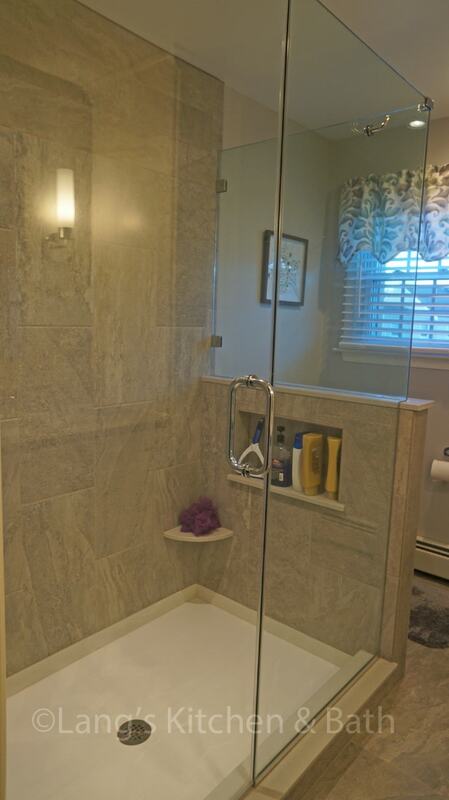 Master bathroom design with large shower. This renovation transformed the bathroom and updated the master bedroom. The dramatic transformation gave the bedroom a sleek new appearance by replacing carpet with luxury vinyl flooring. Custom closets added ample storage space to the bedroom. 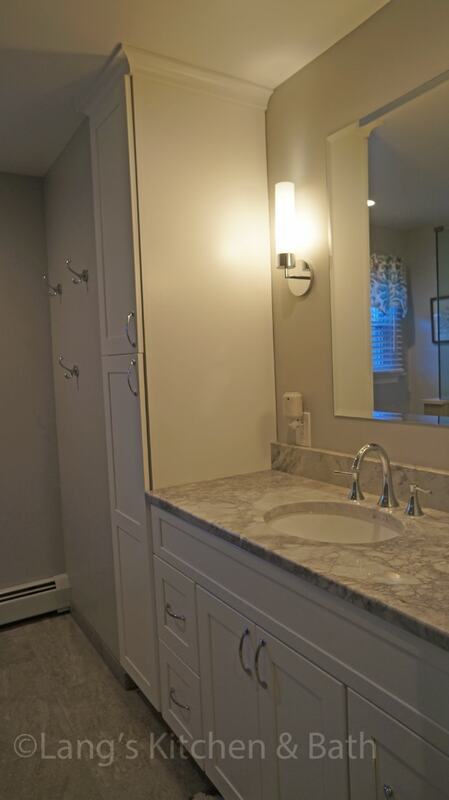 The bathroom design created a larger room by moving a wall, allowing space for a sizable shower with a custom storage niche, as well as a larger vanity and linen closet.